​YOU are invited to join us for the 2018 MERGE Summit. This year's vision for the Summit will have worship, prayer and dialogue around "Building Your City's Wall" - Nehemiah 2. MERGE Summit Vision: I recently read about a bridge that was built in Chile where the builders put sections of the bridge together and later realized they had placed them upside down…or backwards and what was supposed to be a draw bridge would not open. Back to the drawing board. Nehemiah had a burden for his home land and longed to go back and restore the wall and rebuild homes. The king that kept him as a servant told him to go ahead and gave him all the supplies he would need. 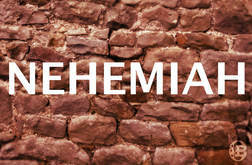 Nehemiah and others began working on the wall…enemies came and mocked and yet the work went on. Each worker or family had a section of the wall to rebuild, all they needed to do was focus on their section and know that the whole wall was being rebuilt. In the Church as pastors and leaders we understand that we are called to a place in the city/region. We have a job to do building churches that bring life to a lost population and most of us understand that no one group is going to reach 500k on their own. began doing unity…and stopped talking about it? Each MERGE Summit has been unique and powerful and there is high expectations for this one also. The expectation is undergirded by our knowing God is always at work and we are expected to join Him in His work. The connectivity we experience simply though relationships is changing our city. Knowing and honoring each other makes our city and churches healthier. As leaders in the city/region it is imperative that we are seeing beyond the horizon that everyone sees to grab a hold of where God is taking His Church. You have to know that when leaders of the Christian community gather to seek God for our city/region He will respond. We will ask, seek and knock…and then ask, seek and knock more to see a Church in a city/region going after 500k souls. To transform our city/region with and through the blood of Jesus…will you join us? Thank you to these churches and businesses for their generous support of the MERGE Summit. Please support those that support the work we do. ​Registration includes access to MERGE Summit, 2 lunches and 1 dinner per person. Breakfast is not included but is available at the Lodge restaurant on site - please use this time to fellowship and meet someone new! Check-in for hotel rooms is at 3:00pm and check-out is at 11:00am. Thursday, February 15 - Summit doors open at 9:30am for registration. 10:00am meet and greet and welcome. Friday, February 16 - Summit concludes at 3:00pm.